Remember how This Site has been saying the Tories are lining pensioners up to be the next targets in their “divide and rule” strategy for the UK? Here’s the first attack – and they haven’t even got the guts to announce it. Instead, the Conservatives will sneak the introduction of the Bedroom Tax for pensioners through the back door. 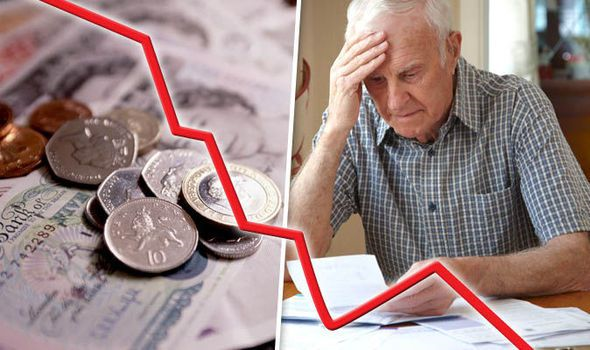 How will this affect the massive £20 per week more than working-age people that pensioners have to support them is unknown as yet. Currently, the pensioner/pensioner couple in social housing is exempt from the bedroom tax and thus has the full housing benefit paid if they live in a 3 bed property and thus the state pays for two spare bedrooms. Yet the pensioner / pensioner couple living in the private rented sector has their housing benefit pegged to the 1 bed LHA rate and thus the state does NOT pay for spare bedrooms (unless the 1 bed LHA rate covers the 3 bed PRS rent level which it can in some areas). So it’s finally happened: pensioners to be hit by bedroom tax. Followed by reduction and eventual abolishment of Pension Guarantee Credit? (Pension Savings Credit already going). And finally: the State pension itself? A whole raft of benefits is passported by PGC, Benefits doubtless in the sights of Mayhem and her cronies. Who would vote for the Tories if they attack their own voters? And depending on how badly the commercial rates revaluation goes down do not be surprised that this same neat trick will be rolled out for the rest of the population in an attempt to increase the rates funding for local governments to pay for even more Central Government cast offs. Laying off potential tax increases against the local rates also switches the anger to local government rather than the Cons central government. Imagine the Tory reaction if there were a proposal for equitable reasons to extend the bedroom tax to privately-owned dwellings. The Local Housing Allowances don’t reflect area rents anyway. My councillor admitted that it wasceorked out by including social rents, which is not comparing like with like. It was also worked out by including student housing, of which there is a lot where I live due to two universities. So the figures for average and low rents are artificially skewed by the inclusion of rents not available to most people.